If you’ve ever taken a ride around the countryside, you’ve no doubt seen farms with miles and miles of fencing. This vast area of fence line can really show any shortcuts or laziness by the fence builder. Putting up quality fencing that last isn’t as hard as some people think. 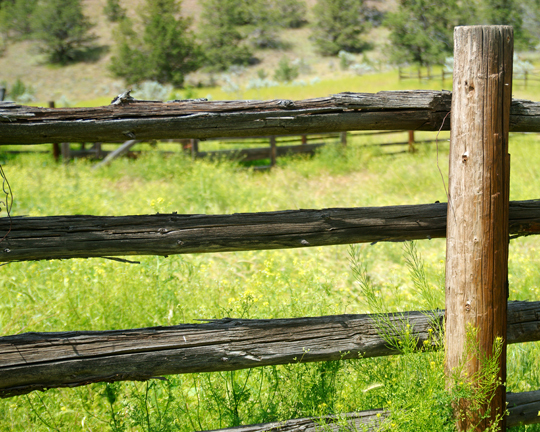 In this article I will cover how to build ranch fencing that lasts in 3 simple steps. 1. First, you’ll want to plot out the fence line and mark it well with the locations of your fence posts. 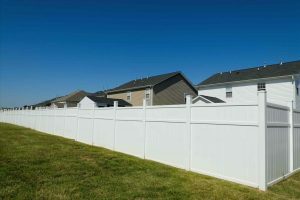 Typically, people need to keep their fence posts between 6.5 and 8 feet apart for strength and minimized costs. Next, you want to dig your fence post holes at around 36 inches deep to get below the frost line (depending on where you live). A little bit of cement in the bottom of the hole will give you a solid foundation, but isn’t necessary. 2. The next step would be to mark the fence post where you want your rails to be starting from the top of the fence post down. You can run a string between two points to get a straight line. Once you’re sure of where the post will go, cut off the top of the post before nailing up the rails. You can either make the top of the post flush with the top of the rail, or you can leave a foot of post sticking above the rails if you prefer that look. 3. You want to make sure you nail the rails to the side of the posts that faces the animals. This way when livestock pushes up against it they will be pushing the boards into the posts instead of away from them. 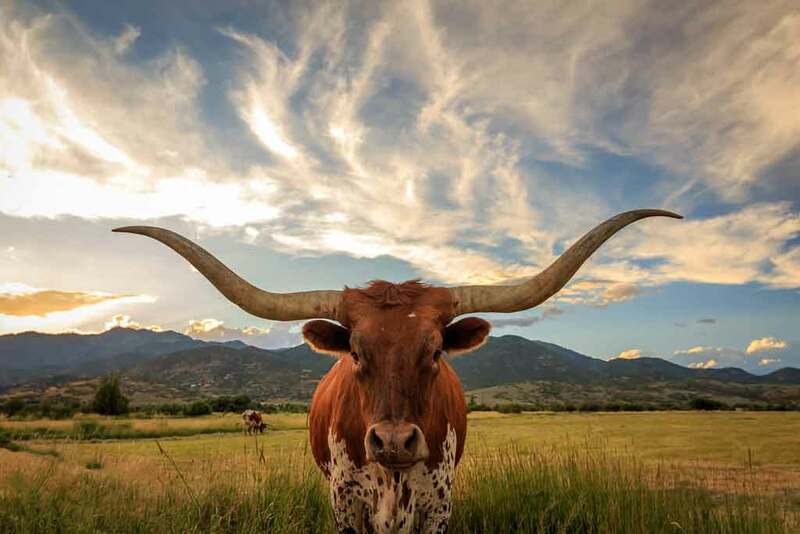 This will greatly strengthen your fence. 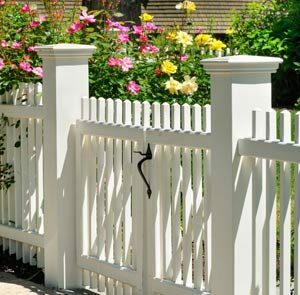 Make sure you drive your nails about 1 inch or more below the edge of your fence rails so that none of your rails split. If you do encounter this problem you can either blunt the end of the nails with your hammer or pre-drill the nail holes in your rails to stop the splitting. Pro tip: When you cut the tops off your fence posts, you can cut them at a 45 degree angle on each side making them come to a point, or a single side to create a slant for shedding water. This will greatly reduce post rot from moisture sitting on top of your fence posts. You can also buy post caps made from various materials that will also reduce post rot, but can significantly increase your fence costs depending upon how many fence post you have. You can also significantly strengthen your farm fencing by using carriage bolts in place of nails. Of course this costs a little extra and also requires you to drill every hole instead of just hammering in a nail, but this method also allows you to disassemble your fence much faster and easier should you need to remove a section or replace a section of the fence. 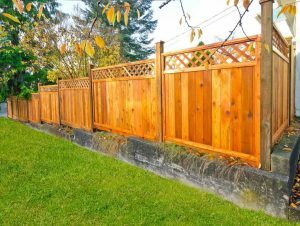 We invite you to read more of our articles and tips on fencing your property to discover the latest techniques and materials to get your Fence FAST.